I recently took a quick trip to The Mile High City of Denver to visit family and explore their recreational cannabis culture. Coming from New Jersey as a medical marijuana patient, I’ve had access to a dispensary for the past two years. However, the marijuana laws are still very strict compared to places that are completely legal. Non-patients in my area are still facing the challenges of developing quality low-key relationships with a good “weed man.” Although marijuana is legal for medical use, the list of qualifying conditions is limited to 13 debilitating medical conditions. 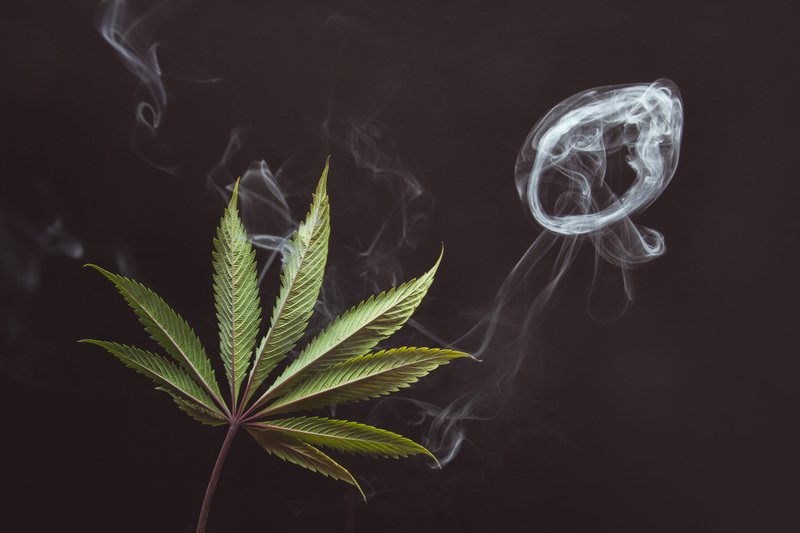 As the conversation regarding the legalization of marijuana remains controversial, the general population is becoming increasingly interested in its impact on America. For decades, it was completely illegal in every state… Then, it became legal for medicinal use in some places like California, completely legal in other places like Washington, decriminalized in others like Pennsylvania, while still remaining illegal in states such as Georgia… And still federally illegal all over? — It’s hard to keep up because when it comes to the topic of cannabis, it’s clear that the states aren’t so united on their stance. Laws and stigma aside, though, it’s no question that the legalization of marijuana has sparked some major changes throughout the country; economically, medically and culturally. After my trip to Denver, I was inspired to evaluate the differences in my cannabis experiences in two places; with a medical marijuana program vs. recreational access. Here’s my analysis of marijuana dispensaries, products and overall culture in New Jersey and Colorado. There are a total six medical dispensaries throughout the entire state of New Jersey. With only two of them located in South Jersey and only one in the area where I live (near Philadelphia), it has resulted in long lines and sold out products. As more people have gained access to the medical marijuana program within the past year, my designated dispensary has begun expanding its facility to accommodate patients… But during this process, there have been times that I’ve had to stand outside in the freezing cold for an hour, just waiting to get in. In Colorado, there are an estimated 505 medical dispensaries and 509 retail dispensaries — currently, over 1,000 facilities and over 2,500 licensed cannabis companies total. According to the Colorado Pot Guide, there are more marijuana dispensaries in the state than McDonald’s, Starbucks, and 7-Elevens combined. In the city of Denver, alone, it was as if there was a dispensary on every block (especially in the Downtown area). There are plenty of shops to choose from, with all types of creative names, concepts and interior designs… I was even able to do my research and find a dispensary in Denver that was owned by a woman of color. When the New Jersey Medical Marijuana Program was first established, only flower bud was available for purchase. The product selection has expanded over time to also include lozenges, cocoa butter lotion, and topical oils. While the cocoa butter lotion is technically for skin use, it is also edible and a great supplement for baking/cooking at home. In Colorado, there were more cannabis products available in dispensaries than I could mentally digest. Chocolate candies, gummy candies, pastries, energy drinks, teas, olive oils (the list goes on). Most foods are also available with vegan and gluten-free options, adhering to popular consumer dietary needs. There were even products that I needed to be educated on by dispensary associates. Products such as inhalers and cannabis bath salts. Shopping for products in a Colorado dispensary was a much different experience than my medical dispensary in New Jersey. At home, I typically purchase a basic ¼ ounce of whatever strain helps with the symptoms of my conditions. When the weather’s nice in New Jersey, I like to smoke weed in my backyard. This is an activity that usually warrants side eyes from my neighbors. Neighbors who probably don’t even know that what I’m doing is legal. The law requires patients to keep marijuana in its original packaging. This includes the labels that contain info about its contents and our personal identification information. We are not legally able to medicate in public places. It is illegal to share our medication with anyone who’s not a certified medical marijuana patient as well. Of course, underground cannabis culture is still a thing and you can always find people smoking at places like parties and concerts but as far as legality goes, it’s not an out in the open thing to do. Smoking weed and indulging in cannabis products seems to be the norm in Colorado. There are cannabis smoking events like Puff, Pass, Paint; a stoner’s recreation of the super hip Painting with a Twist events; instead of sipping wine during painting class, attendees light a spliff and pass it to their friends. (The class is all-inclusive, too.) There are also cannabis networking events, yoga classes, bingo, and even bowling leagues. There is literally a variety of cannabis activities to complement anyone’s social calendar. People are more, for lack of better words, free about their marijuana use in Colorado… And overall, it’s a much more relaxed environment because it’s something that has become socially acceptable. My (opinionated) conclusion on all of this is that a balanced cannabis culture in every city could be extremely beneficial. Having marijuana accessible through a variety of dispensaries for everyone of legal age or with qualifying medical conditions to choose from could improve the overall quality of life for citizens in many different ways (economically, medically, culturally, and so on)… Because, well, we all deserve access to a selection of cannabis-infused teas and healing-focused social events. I am quite curious to see how cannabis culture expands to new places over the next couple of years. What’s cannabis culture like where you live? Does it exist at all?